Author(s) Bendixen, Lisa D.; Feucht, Florian C.
Personal epistemology is the study of beliefs associated with knowledge and knowing. A large body of theory and research in personal epistemology has been dedicated to college students, but rarely have the epistemic beliefs of children, adolescents, and their teachers been thoroughly examined. This book incorporates both theoretical and empirical work pertaining to personal epistemology as it specifically relates to learning and instruction. 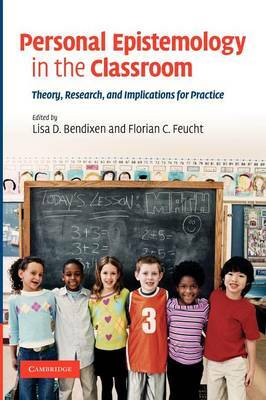 Bringing together leading research on pre-school through high school students' personal epistemology, it re-examines existing conceptual frameworks, introduces new models, provides an empirical foundation for learning and instruction, and considers broader educational implications. In addition, the contributors stress how personal epistemology issues in the classroom need to be more carefully investigated and understood.